A light, refreshing golden ale, exciting on the palette. Initial sweetness and delicate aroma is balanced by a drier finish. It can appeal to habitual lager drinkers as a first step into the real ale world. Hop Token: Amarillo is an amber-coloured bitter showcasing the Amarillo hop. The aroma is described as flowery, spicy and citrus-like, more specifically you can detect hints of peach and grapefruit. the hoppiness carries over into the taste, together with notes of toffee, malt and grapefruit. An amber-coloured bitter showcasing the Citra hop. With zest of lime, citrus & tropical fruits: peach, apricot, passion fruit, lychee, pineapple, papaya & mango - a veritable fruit salad, with notes of toffee and malt - giving a long finish. A traditional English bitter with a fresh flavour at the lower end of the bitterness scale. We add a handful of the ruinously expensive German Hallertauer hops just before the beer is fermented and the result has excellent aroma and just a hint of an old-fashioned marmalade. A rich black coloured stout with a creamy head. Powered by Target hops, it is in the middle of the bitterness scale and contains a very high proportion of chocolate malt that contributes to the dark chocolate aroma and roasted flavours. A strong red-brown ale. Slight initial sweetness leads to complex flavours including smoky orange peel and a satisfying bitterness persists into a long finish. A celebration ale originally brewed for the Royal Wedding of Prince William and Kate Middleton which took place on Friday April 29th 2011. Happy Ever After is an intensely hoppy bitter with a hint of Seville oranges leading to a long herbal finish. 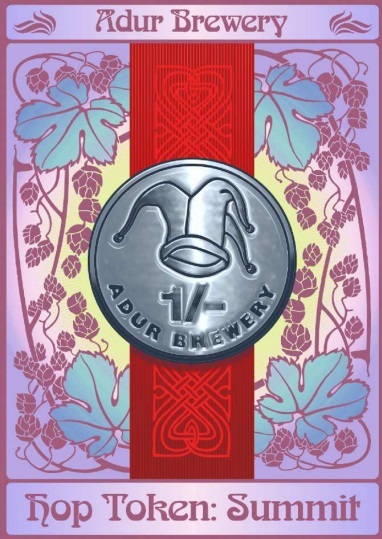 Steyning Special is a strong, slightly spicy and lightly hopped ale reminiscent of those of the Edwardian era. It has a bitterness characteristic of English ales, leading to a long finish. A dark strong ale with a creamy head. Initial sweetness with hints of chocolate are balanced by a drier middle and end. Comments received include: "A dark, smooth beer with fruity flavours and a bitter finish" "SmeIls good and tastes very good -very, very moreish" "Punching above its weight."